1. A Foundation _____ secured the book after attempting to record information on the owner and the book. 6. 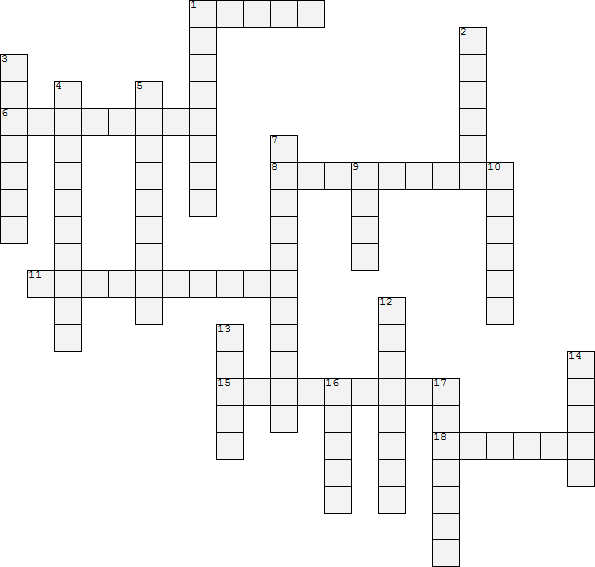 SCP-1665's crossword puzzles appear to be designed for ________, with puzzles typically featuring mundane topics such as weather and geography and taking little effort to solve. 8. Description: SCP-1665 is a [REDACTED] brand book published by _________ Puzzles, copyrighted 1999. 15. SCP-1665's _________ properties manifest when anyone attempts to maintain written or physical records of it. 18. All written records will be altered so that they are in a form of a crossword ______, making storage of information on SCP-1665 difficult. 2. SCP-1665 is to be kept in a ______ in the low-value objects wing of Site 39. 3. All _______ of SCP-1665 during testing must be in audio form. 4. SCP-1665 was __________ in a thrift store in [REDACTED], Canada. 5. Because of this, recording equipment is the _________ method of storage of information relating to SCP-1665. 7. Since its ___________, SCP-1665 has been tested on five (5) separate occasions. 10. As per the orders of ______ Smith, testing on SCP-1665 is suspended until further notice due to its low data value. 12. All of the puzzles in the book are ________, and it shows minimal wear from usage. 13. SCP-1665's puzzles replace words in sentences with _____ spaces; as such, the puzzles can typically be solved with little difficulty. 14. Experimentation with SCP-1665 requires prior approval from a Level _____ Researcher. 16. SCP-1665's properties do not affect _____ recordings or other non-textual methods of documentation. 17. The owner repeatedly attempted to sell ___-____, marketing it as a 'magic crossword book'.